Canada is considered as one of the best countries in the world. With a good quality of life and a strong economy, this place is an absolute heaven for the right person. Due to the large number of advantages many skilled professionals, students and many other people opt for Canada Permanent Residency. This is one place where skilled professionals get a number of good job opportunities. The education system of this country is good. There are some really good courses that students can pursue in this country. The crime rate of the country is low. The law and order condition in the country is good. This is a safe place for children and women. This is one of the main reasons that people prefer to settle down here with their family. The infrastructure, the career opportunities, the strong economy are some of the reasons that people from across the world like to make Canada their abode. The country has immigrant-friendly laws as they need more number of skilled foreigners to come to Canada and work for the economic development of Canada. 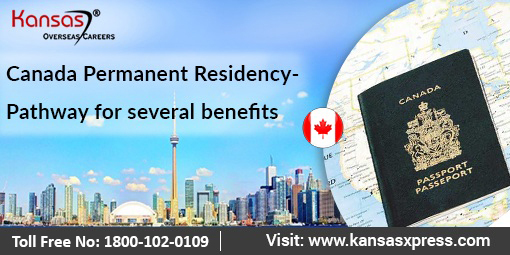 Why one must opt for Canada permanent residency? Many people prefer to apply for the Canada permanent residency visa. One of the main reasons for this is that there are several benefits of Canada PR. The permanent residents can stay anywhere in Canada and for as long as they want to. The person can work and study anywhere in Canada. Permanent residents enjoy a number of social and medical benefits. They also get protection under Canadian law and the Canadian Charter of Rights and Freedom. Those who want to opt for Canada PR visa must first select the best possible visa category. Depending on the visa category that one selects the formalities for the same will have to be completed. There are some visa categories which are based on a point based system. The candidate will have to create an express entry profile. The candidate will be given points based on different factors. Based on this the candidate will get ranking. Those candidates with better ranking will have a better opportunity to get selected for the PR visa. In some cases, the candidates will also have to submit documents like a medical certificate and character certificate. In order to encourage more number of people to migrate to Canada the Canadian authorities have introduced a large number of visa categories. It can be confusing for a person to select the correct visa category and to complete the formalities. Any mistakes in the application can result in rejection of the application. Rejection means reapplying and starting from scratch. This can be irritating. It is always better to seek help from Canada immigration agents who have profound knowledge about immigration formalities of different countries. There is mushrooming of visa consultants. One needs to be prudent in their selection of visa agency. Always opt for the best.